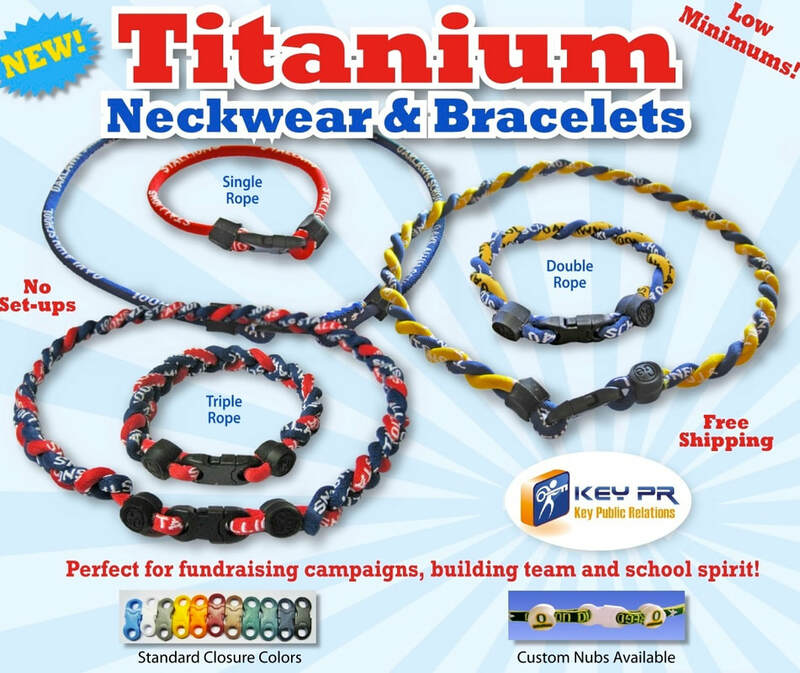 We pretty much insist on including custom nubs on these triple rope titanium necklaces because it is literally the best place to put a logo or team mascot. The ropes themselves look best when they are printed with the name of your team, school, or even tournament. We also sell the single and double rope titanium necklaces and bracelets but these triple rope titanium bracelets are by far the best sellers. Titanium rope necklaces started out as a baseball fad, and spread to lacrosse, and then football, and now we've seen hockey and soccer teams getting in on the fun. Check out the flier and pics below- we think that you will agree that it's crazy to do these necklaces without the custom nubs. If you don't have artwork, we will help you develop it. These are among the best fundraising items that we've seen in recent years, and are a great alternative to the bombardment of t-shirt sales that seems to be going on right now. 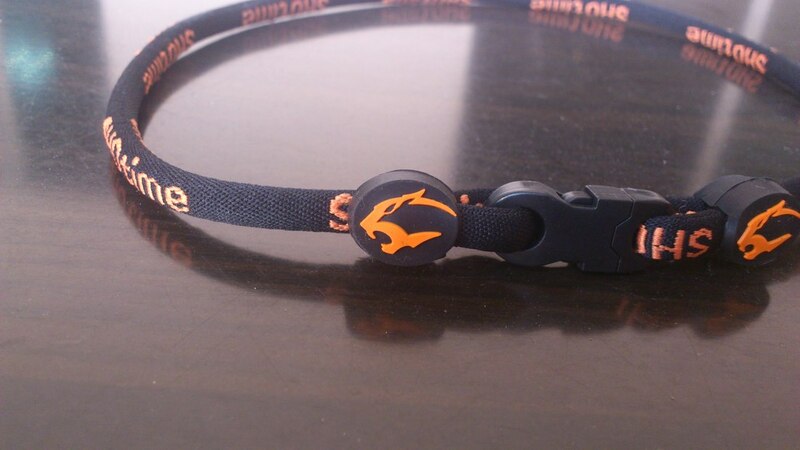 Price includes 18" custom titanium triple rope necklaces with printed ropes and custom nub, all in your choice of colors. If you have vector artwork, send it to sales@adspecialtyproducts.com after ordering.